The AA and AS degree in this Jointly Registered Teacher Education Program (JRTEP) is primarily for students who plan to transfer to SUNY New Paltz (or another SUNY school) and become certified to teach in NYS in either Early Childhood, Childhood or Adolescent Education. The focus of JRTEP is to develop and integrate critical thinking, problem solving and creative skills with informatuon and theories about education. Field work provides excellent practical application opportunities. Upon successful completion of the AA or AS degree, with a minimum of a 3.0 GPA, students who are accepted to SUNY New Paltz will transfer with full junior standing. Other SUNY colleges and non-SUNY schools may accept courses in the JRTEP sequence. Because teacher certification programs and NYSED certification regulations are precisely defined, students should see their adviser and check transfer credits if applying to a school other than SUNY New Paltz. Demonstrate an awareness of and a beginning understanding of the teaching profession and articulate a beginning philosophy of education that incorporates an understanding of developmentally appropriate practices, relevant theories and models of education. Students will demonstrate an understanding of diversity and its role in education. Demonstrate foundational knowledge and skills in one's chosen area of academic concentration. Demonstrate foundational knowledge of and an appreciation for the cultural, social, and natural worlds. Demonstrate college level proficiency in written and oral communication, critical thinking, and analytical, mathematical, and scientific reasoning. Birth to Grade Six (B-6) or Seventh to Twelfth Grade (7-12). 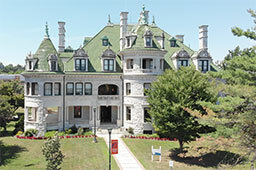 Complete all SUNY Orange degree program requirements. Complete SUNY-mandated General Education Requirements. Earn a grade of B or better in ENG 101 and ENG 102. Earn a grade of B- or better in EDU 103, EDU 109, and EDU 201. Math concentrations must earn a B- or better in either MAT 134 or MAT 205 and MAT 111. Must earn a grade of C or better in EDU 207, PSY 221, GEO 101, and MAT 111. Earn a grade of C- or better in all other courses. Complete a separate application and/or procedures for SUNY New Paltz or other transfer institution. Submit a writing sample to be completed at SUNY New Paltz prior to acceptance. Show evidence of clearance of fingerprinting on NYS Education Department TEACH account. When a JRTEP student successfully completes the AA or AS at Orange, they may apply for transfer to New Paltz with full junior standing to complete the bachelor's degree. Application to New Paltz is given priority status under the JRTEP, but not always immediately to the Teacher Education Program. What would delay that? Higher numbers of applications and increased retention at New Paltz cause student acceptance to rely heavily on incoming GPAs. Although a 3.0 cumulative minimum GPA is required, recent applicants accepted as transfers had GPAs averaging 3.30+. The highly academically prepared students are accepted first. Because teacher education programs, and the NYSED certification regulations, are precisely defined, it is essential that JRTEP students work closely with both their SUNY Orange advisor and the SUNY New Paltz advisor, who is on the SUNY Orange campus by appointment. Students who would like to transfer to a SUNY college other than New Paltz can check with the transfer school regarding which JRTEP courses would be accepted.